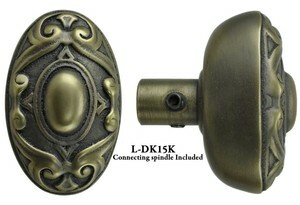 Nice cast oval scroll doorknobs that measure 2 3/4" x 1 3/4"; use 3/8" threaded square connecting spindle. Projects 2 1/4". 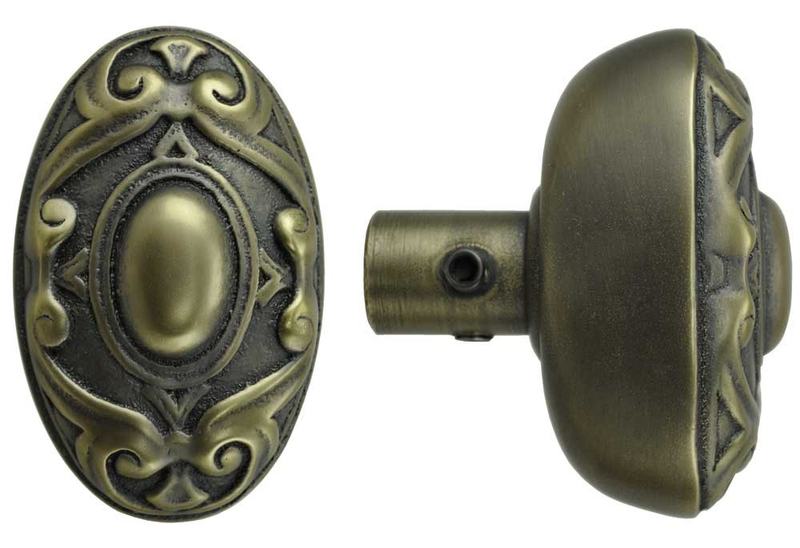 Sold in solid, unlacquered brass, or our hand-finished "antique" patinas. Please choose by using the drop-down "Options" menu above. 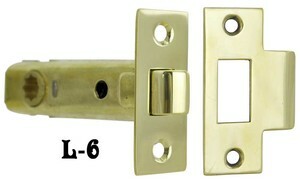 How far from the edge of the door is the center of your doorknob? 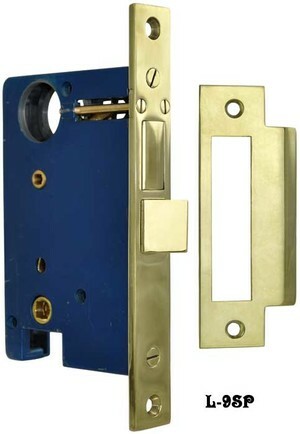 This is the backset, and determines which latch or mortise lock you use. 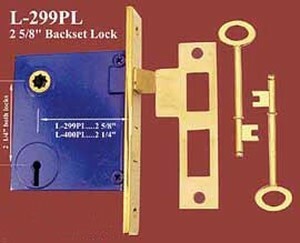 For a 2 3/8" backset, we offer a our L-6 tubular latch, and a privacy tubular deadbolt latch (L-43) option. 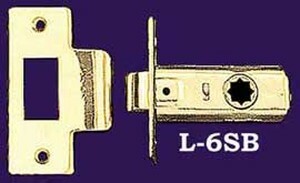 Very narrow panel doors or doors with lots of glass may need our L-6SB 1 3/8" backset passage latch.